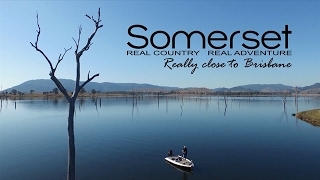 Conveniently located at 41 Hope street, next to Yowie Park, the Kilcoy Information Centre provides a warm welcome to those travelling to the Somerset region. The Kilcoy Information Centre was opened in December 2014 and provides visitor information along with an environmental interpretive centre and an 80 seat theatrette. Visitors are greeted by a friendly group of volunteers who, with their local knowledge, will help you to explore, stay and play in Somerset. During your visit take the time to explore the environmental interpretive centre and learn about the region using the interactive touch screen displays, watch the documentary in the theatrette, purchase boating and fishing permits and/or collect a variety of brochures and maps to help you prepare for your travels.